My name is Naomi Ruth Daugherty Goodman and I started doing research in 1996 after my mother died. I lost my dad ten months earlier and I had always wanted to know more about my family so I started researching. My dad was a preacher and a lumberjack. We have lived in Ohio County,KY all my life. I have some information on this site but there is no way to put it all here. I will be glad to help anyone so just email me and ask. 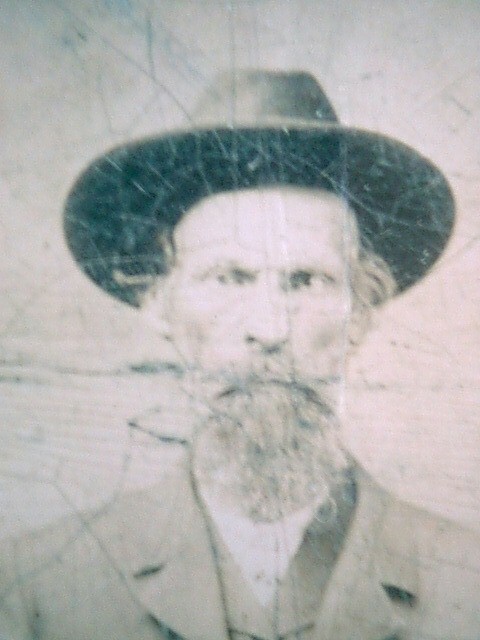 This is a picture of Thomas Jefferson Daugherty born July 1829 in IN and died 1908. This is my GG Grandfather. I would like to thank Douglas Daugherty, and all the genealogists who have helped me in my search for my ancestors.